South Korea’s public pension funds, including the National Pension Service (NPS) and pension schemes for government officials and military personnel, and social insurance agencies will make a close cooperation in sharing information and exploring joint investment opportunities as they are set to boost allocations to overseas and alternative assets, the finance ministry said on July 29. The announcement comes after the Ministry of Strategy and Finance hosted a second meeting of heads of the country’s so-called seven social insurance schemes, which encompass public pension funds, with senior officials of the ministries of welfare, education, defense, personnel management and labor. 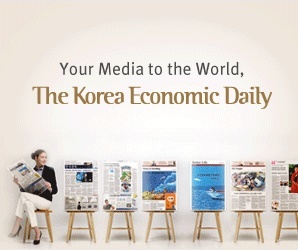 They jointly analyzed asset allocation examples of major foreign pension funds and discussed how to improve asset management of the state insurance agencies and public pension schemes, which had a total of 600 trillion won ($542 billion) of cumulative contributions at the end of last year, according to the finance ministry. NPS accounts for a vast majority of the aggregate contributions. The seven social insurance schemes, as called in a statement of the finance ministry, also include Teacher’s Pension, National Health Insurance Service, Korea Workers’ Compensation and Welfare Service, and insurance for occupational health and safety. “Going forward, we will step up efforts to jointly research international financial market trends, share investment information and techniques, and explore joint alternative investment opportunities,” the finance ministry said in the statement released shortly after the second policy coordination meeting for the seven social insurance schemes on July 29. The meeting was set up last March to help the public pension funds and state insurance agencies make active management of excess cash to raise investment returns. South Korea is bracing for a first decline in the working age population next year, and is poised to become an aged society in 2018, which means a decrease in pension contributions. Vice Finance Minister Song Eon-seog, who presided over the meeting, said in the statement that it is inevitable to gradually increase overseas and alternative investments which produce relatively higher returns, and a close cooperation is necessary between those pension and insurance schemes to share heavy costs and know-how required to find investment opportunities. The state insurance agencies for employment and occupational health and safety, as well as military pension service, will come up with asset allocation plans to diversify into overseas and alternative assets within the year, the finance ministry added. The move is in line with other pension funds around the world which are increasingly looking abroad and chasing alternative investments, away from lackluster bond and equity markets. Song also urged the public pension and insurance schemes to implement supplementary measures such as thorough pre-study and preparation of investment opportunities, and the introduction of advanced risk management tools to address high risks associated with overseas and alternative investments. Details from the statement are as follows. – GEPS: Excess cash equivalent to three-month payments or more will be put into mid to long-term investment. A short-term liquidity shortage will be covered through the issuance of commercial paper, repurchase agreements, or the like. – National Health Insurance Service: To expand two to three-year maturity products within an affordable range, based on its mid to long-term contribution trends. – Teachers’ Pension: in selecting outside asset management firms, core asset management staff will be weighed more heavily in evaluation. In addition, the investment ceiling on each asset class, which had been set relatively higher than other pension funds, will be adjusted lower to match the level of others so as to improve the stability of its fund management. – State insurance agencies for employment and occupational health and safety: to introduce committees to review asset management performance. – National Health Insurance: to hire a new asset management expert from outside.